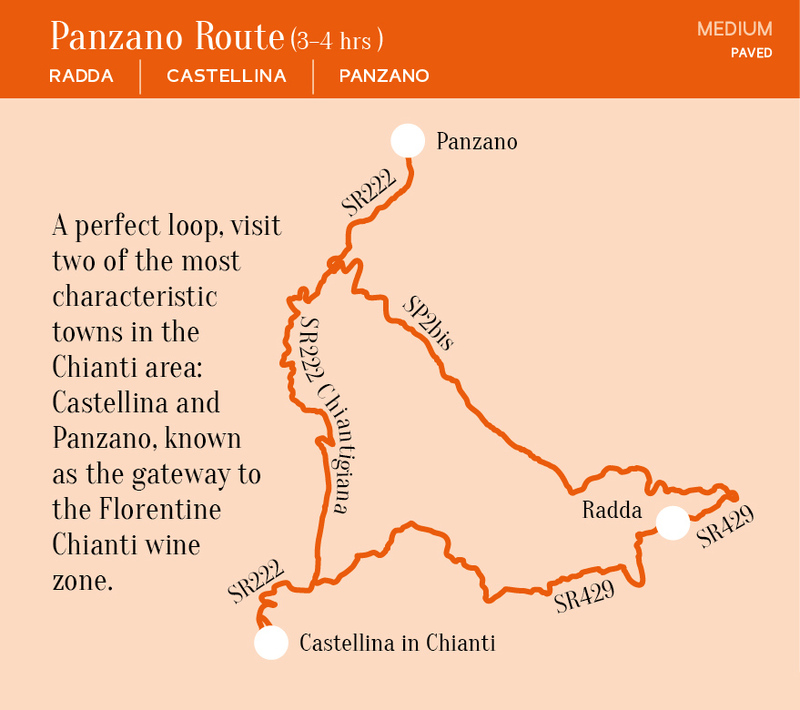 ChiantiRadda has ideas, suggestions and information for all its guests in order to make their stay in this area as pleasant as possible. 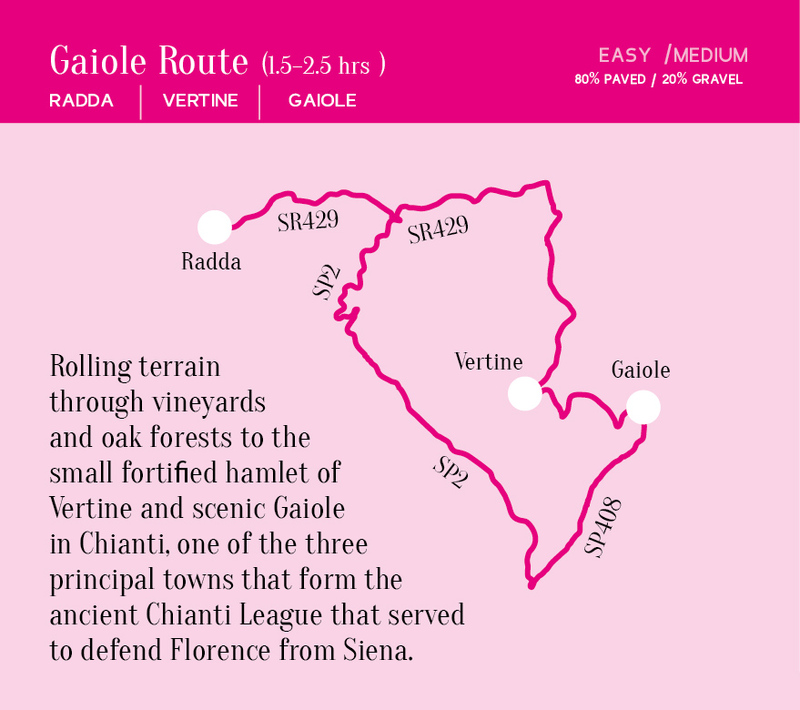 Whether you are here for a day or for a longer time, you will find useful and up-to-date information that will help you become more familiar with our territory. 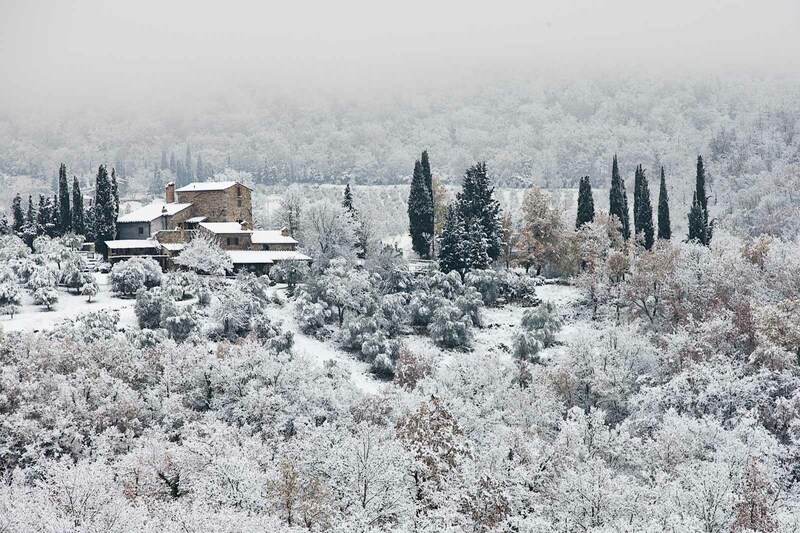 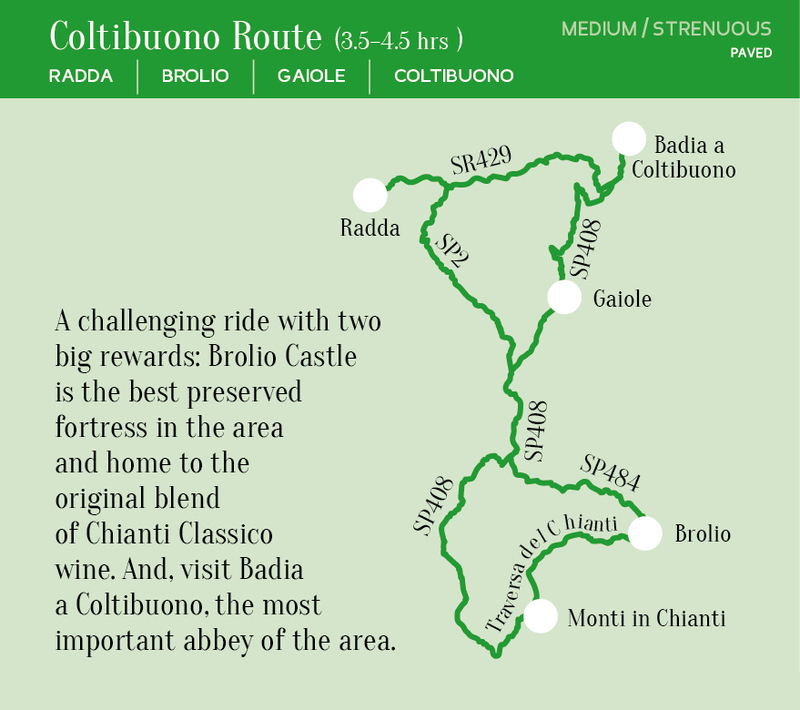 Every day Radda in Chianti has new ideas to satisfy its guests. 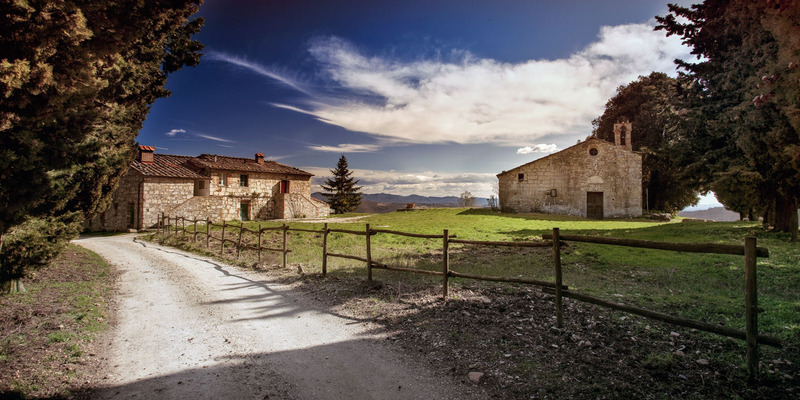 Mountain bike or on-road bike trails, fantastic roads and bends for motorcyclists and motorcycle tourists as well as itineraries that are immersed in the natural environment for those who love trekking and Nordic walking. 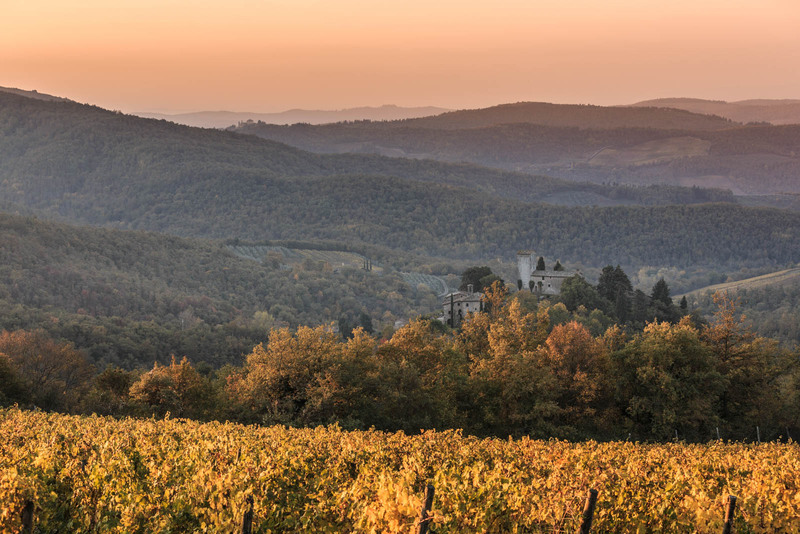 The peacefulness of a farm holiday resort lying on a hillside, the pleasure of a glass of that good Chianti Classico wine, in the territory made famous by the "Gallo Nero" label, or a delicious lunch made up of classical traditional Tuscan culinary dishes. 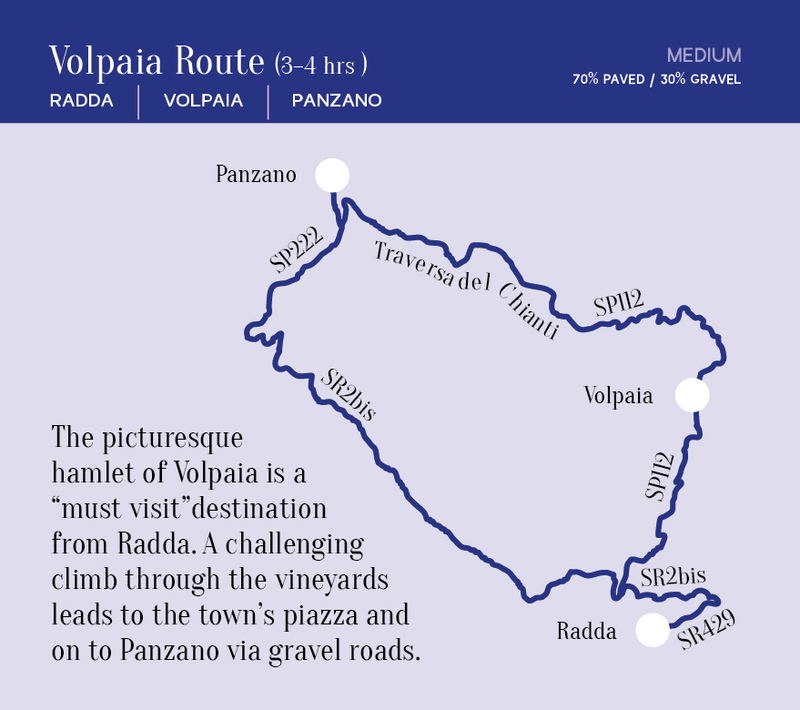 Discover the most picturesque corners of our territory walking near the village of Radda. 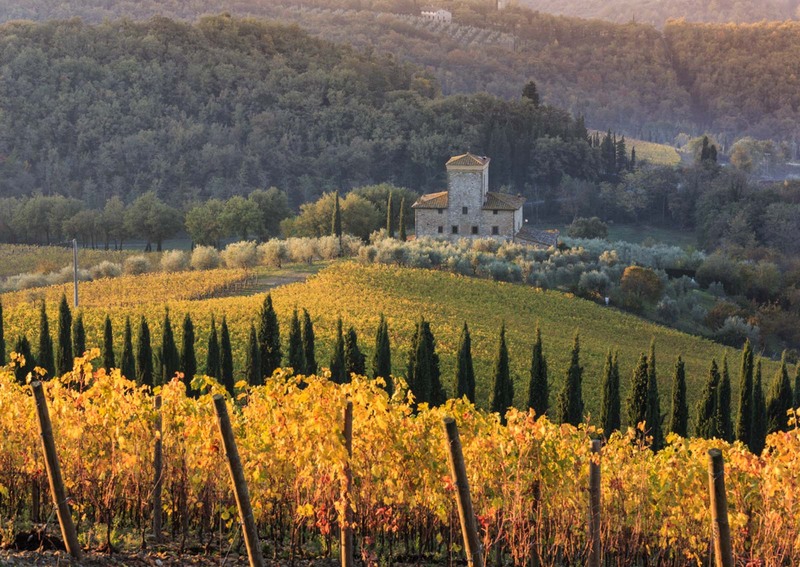 Relax while admiring the enchanting countryside that you meet along the way at any time of the year. 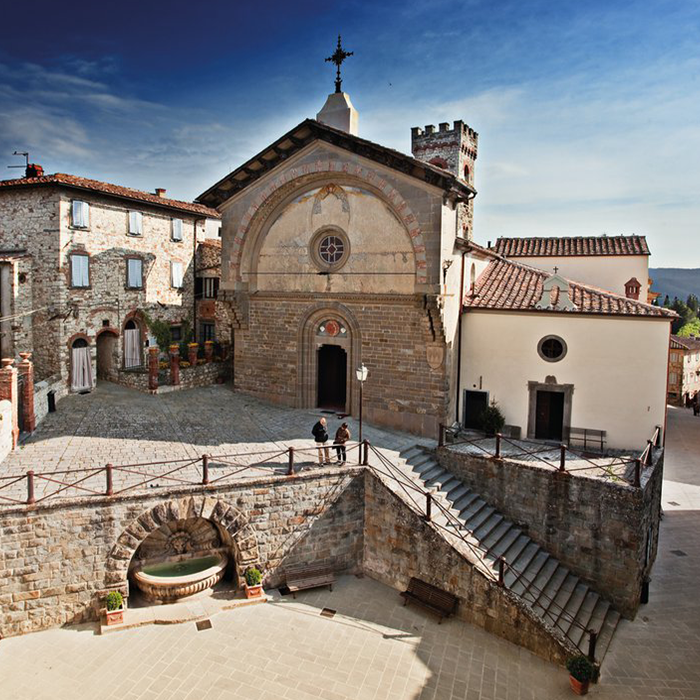 Tour of the town, suitable for anyone, to do on foot and slowly, in order to discover the most picturesque corners, historical monuments, traditional shops and local products. 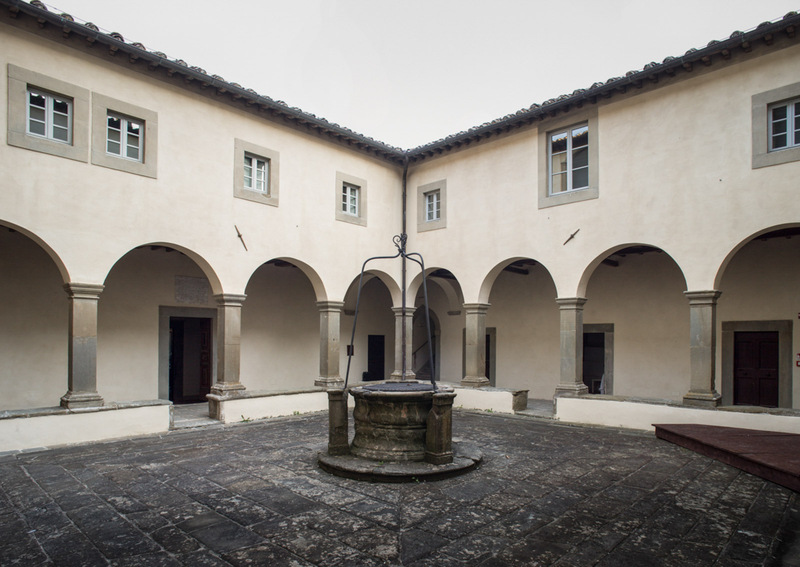 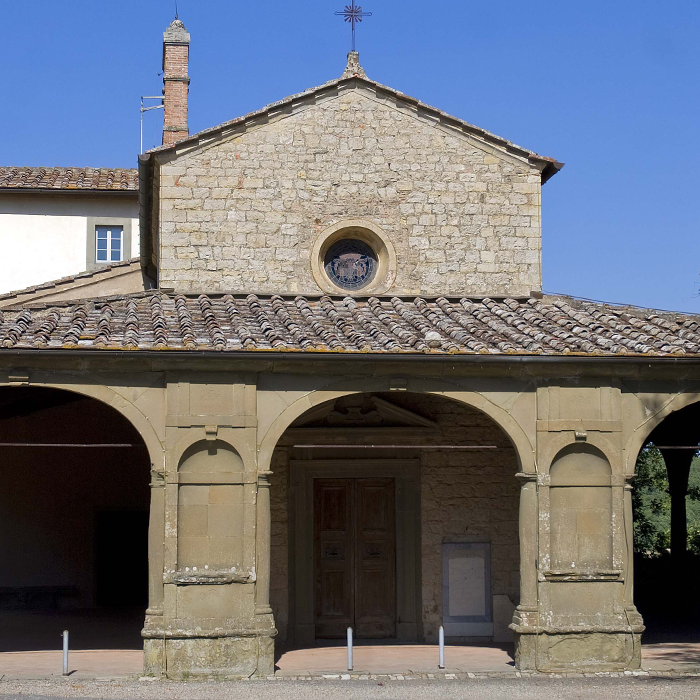 Visit to the Convent of Santa Maria al Prato, leaving from the village of Radda, on foot or by bicycle; an easy walk or ride, suitable for anyone. 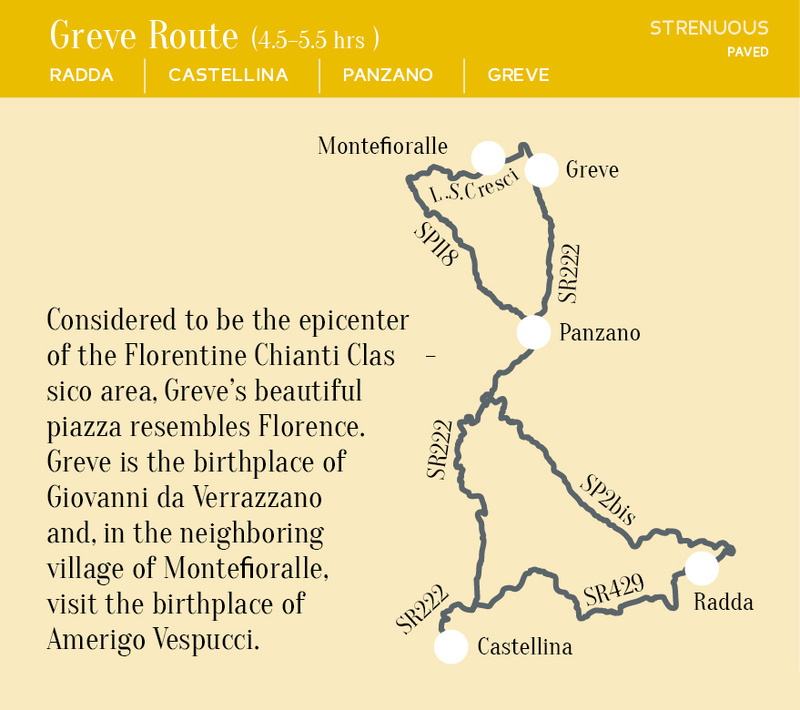 Eight itineraries made especially for bike lovers, from easy to difficult and of different lengths. 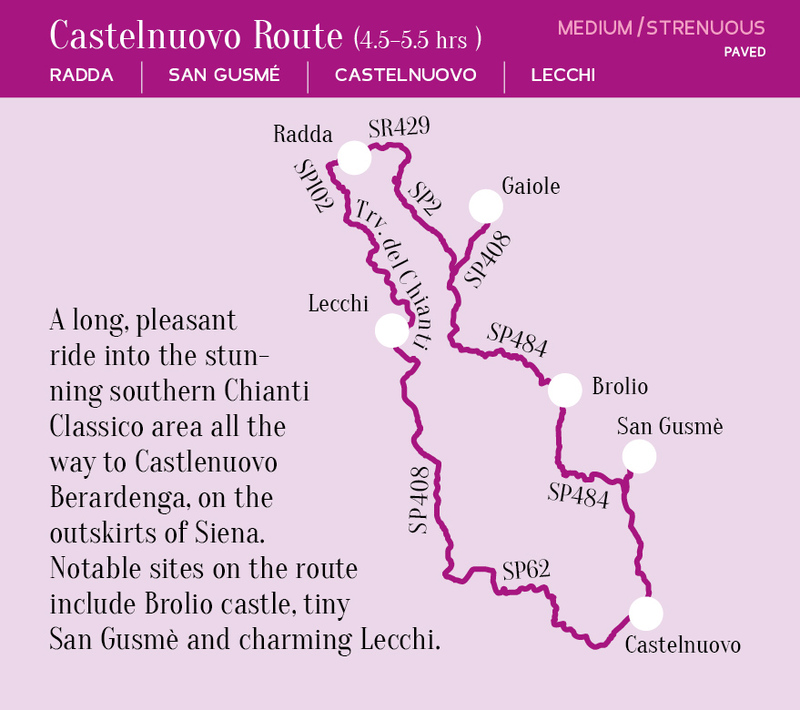 Choose the route that is more suitable to your mountain bike or your road bike. 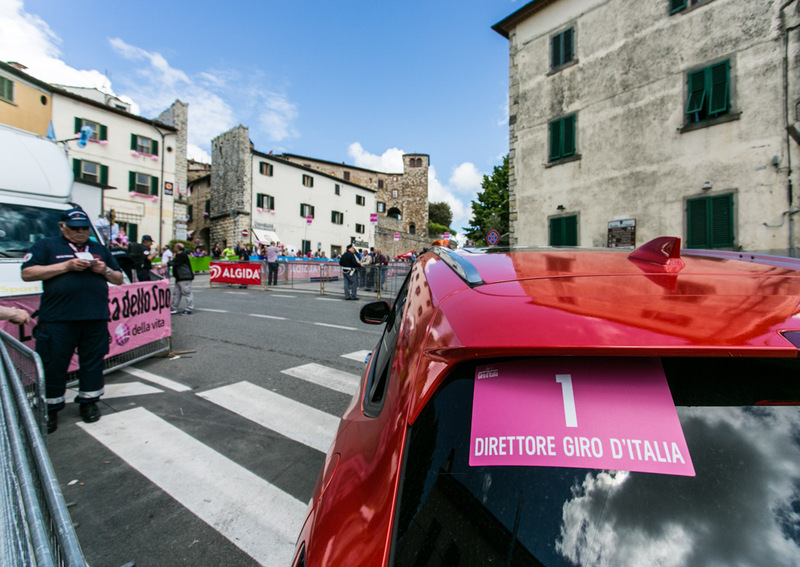 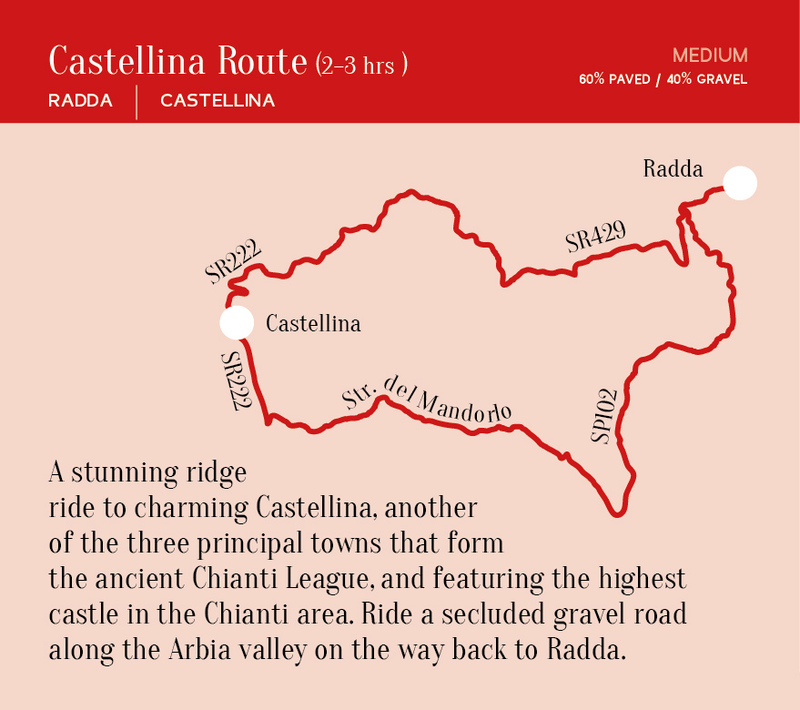 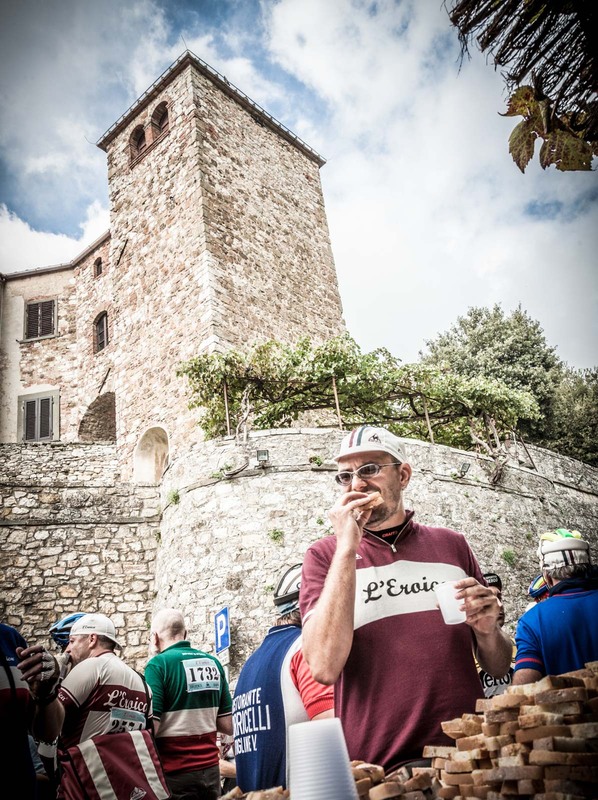 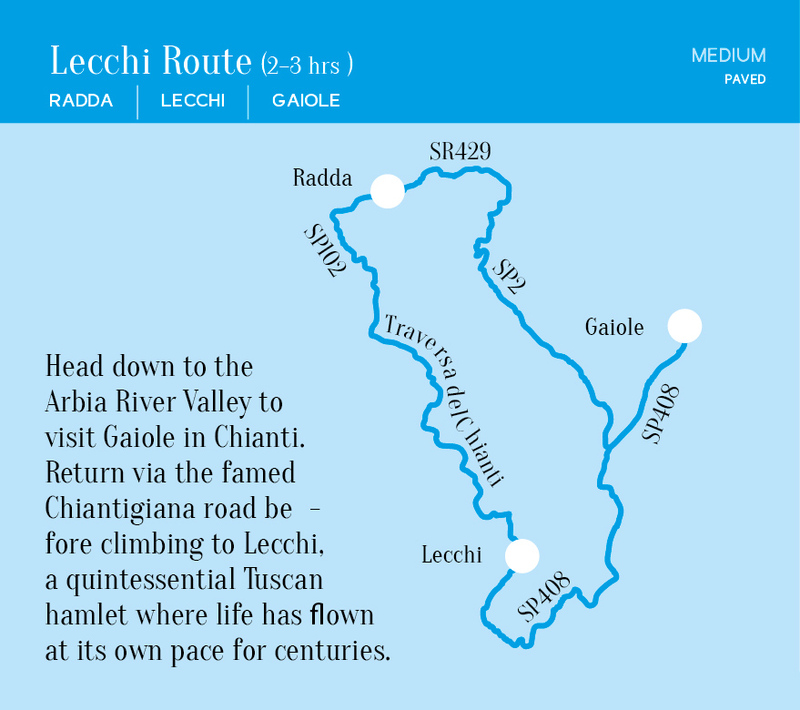 The routes illustrated are the result of the collaboration between the City of Radda in Chianti and Backroads, at the time of the World Bike Rally in Radda sponsored by Backroads in October 2015. 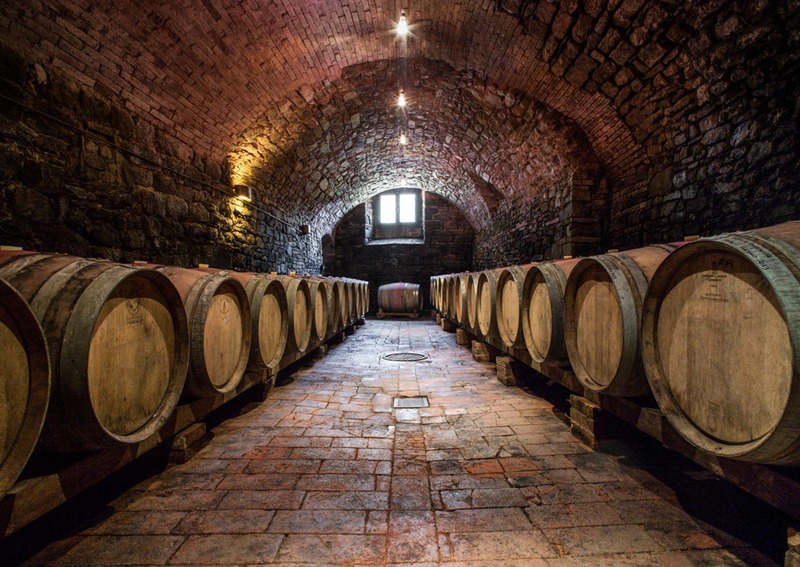 You can easily find a good place to taste traditional dishes and drink a good glass of wine. 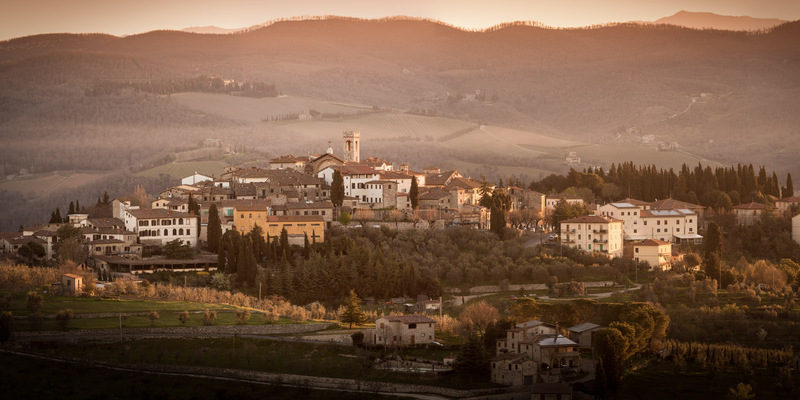 Choose where to spend a relaxing holiday. 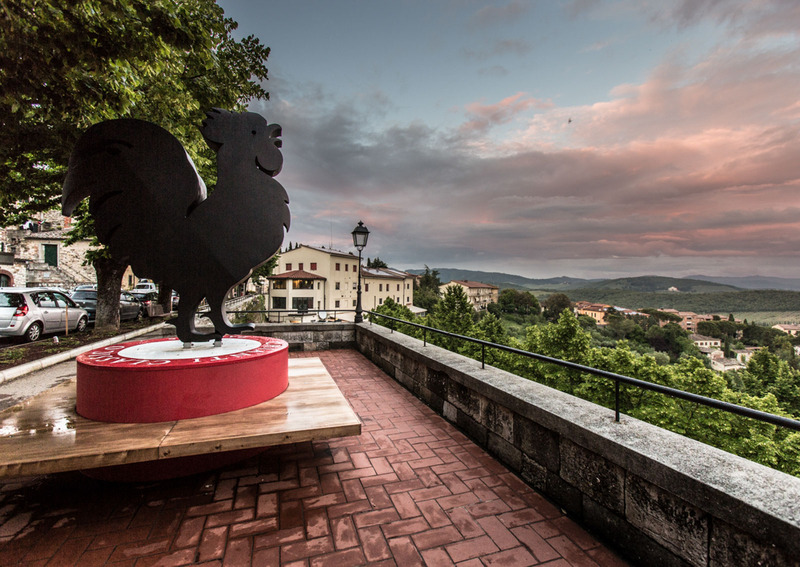 Discover all the places where you can eat and try the typical products of our territory; there is all the information you will need about each activity; all you have to do is choose! 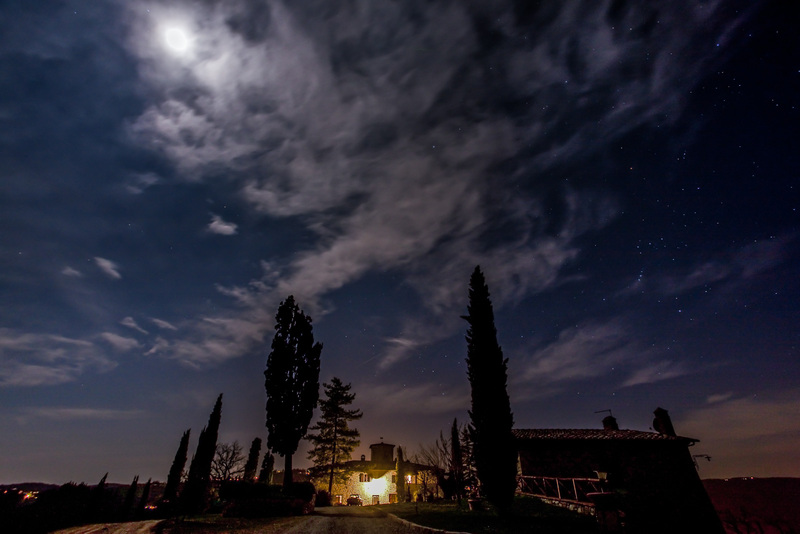 Find out about all the accommodation facilities, from hotels to holiday farms, from B&Bs to wellness centres, consult each description and choose where you want to spend your holidays. 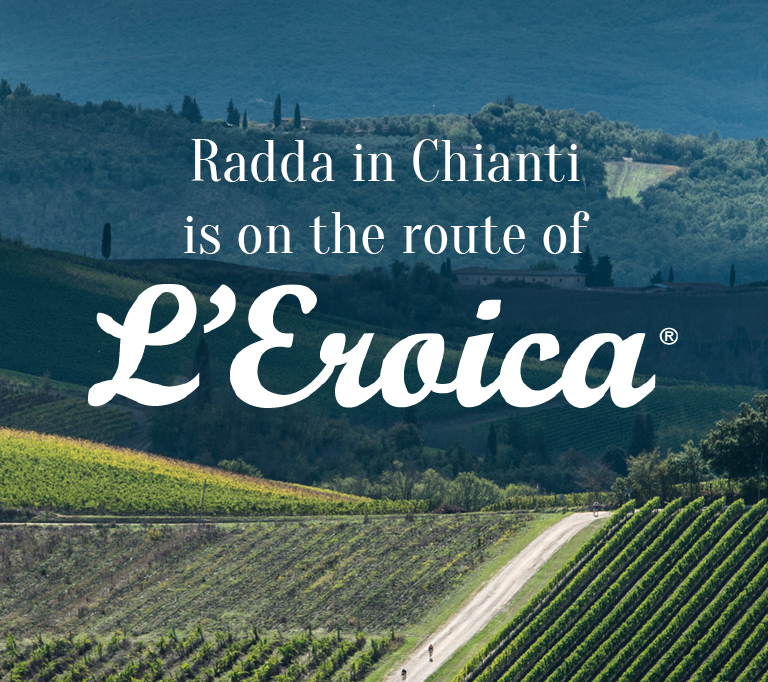 Give yourself a relaxing time shopping, discovering the true products of the territory; here you can find out about all the things Radda in Chianti has to offer. 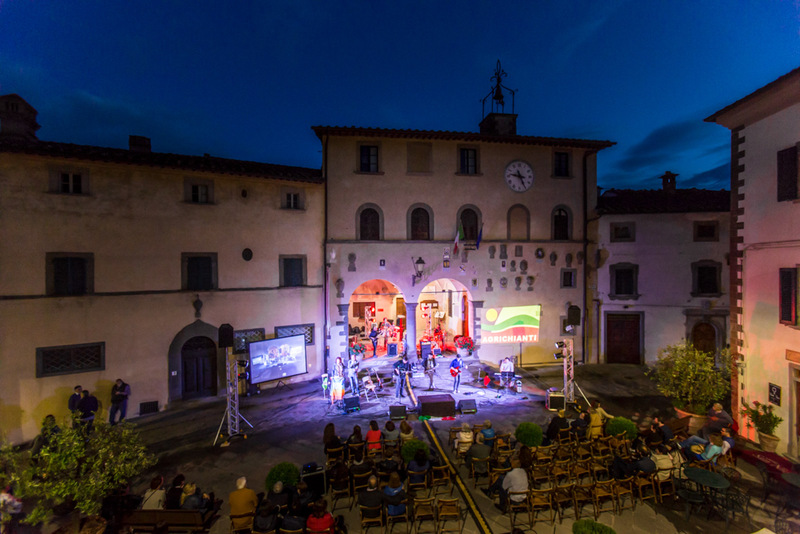 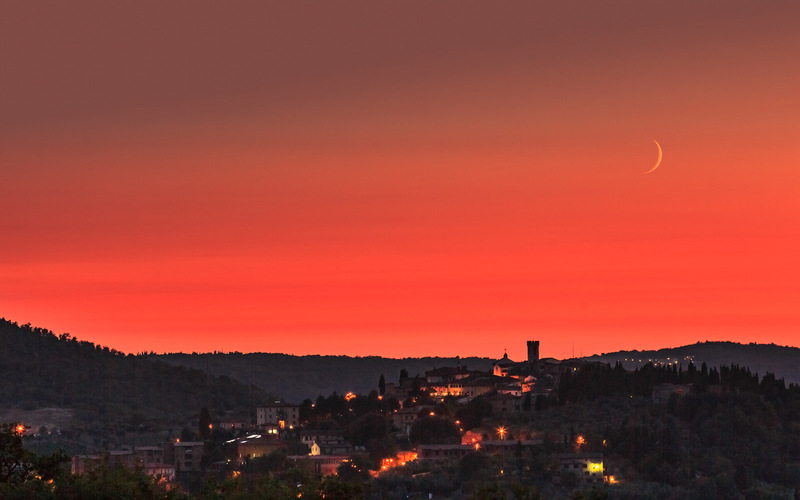 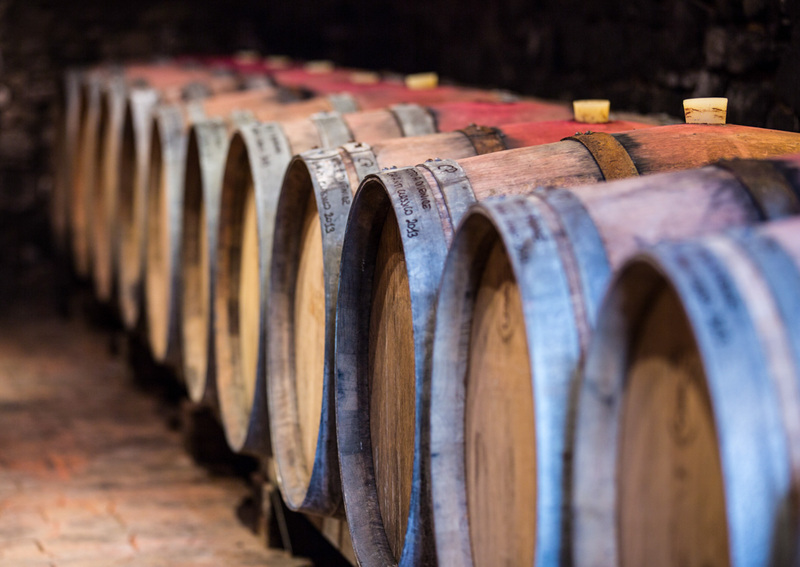 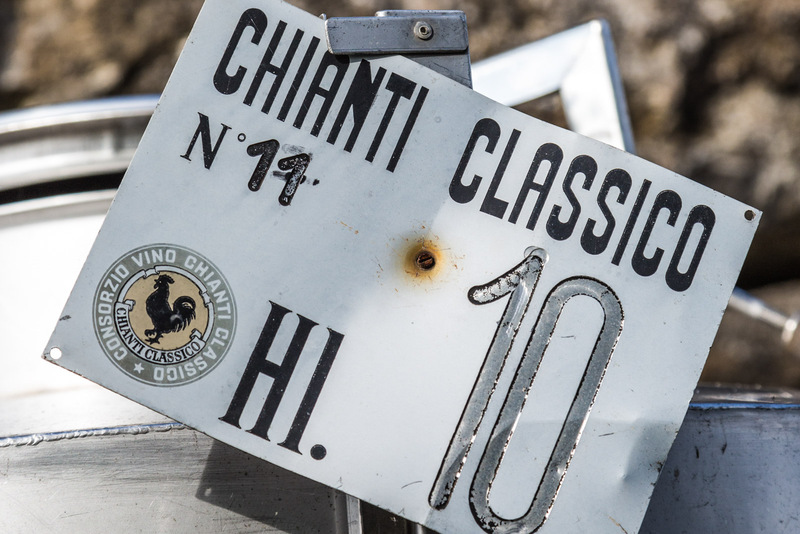 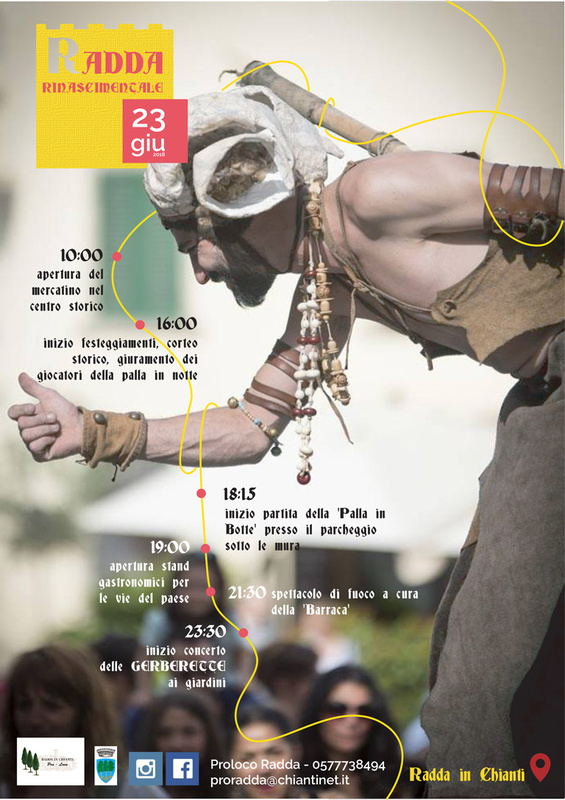 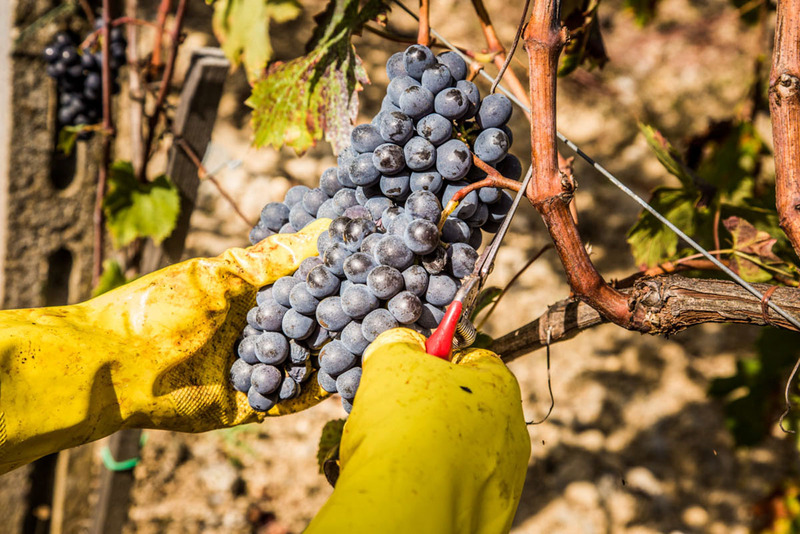 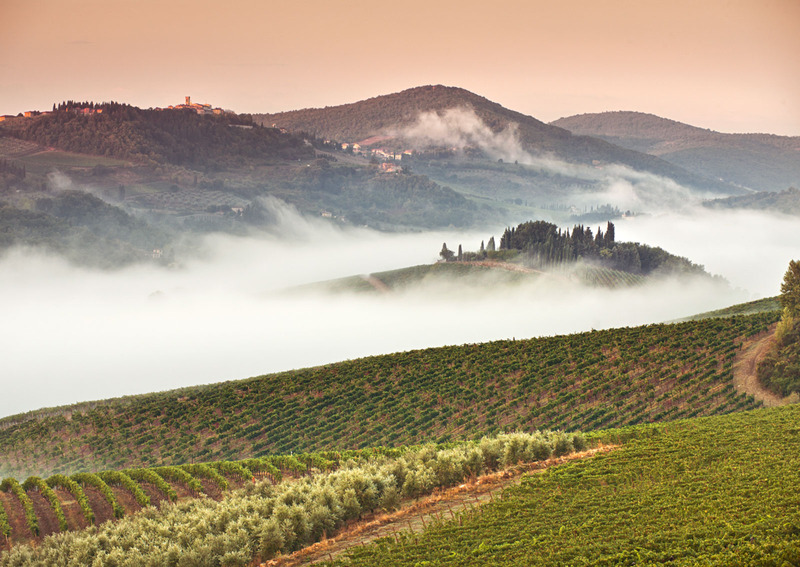 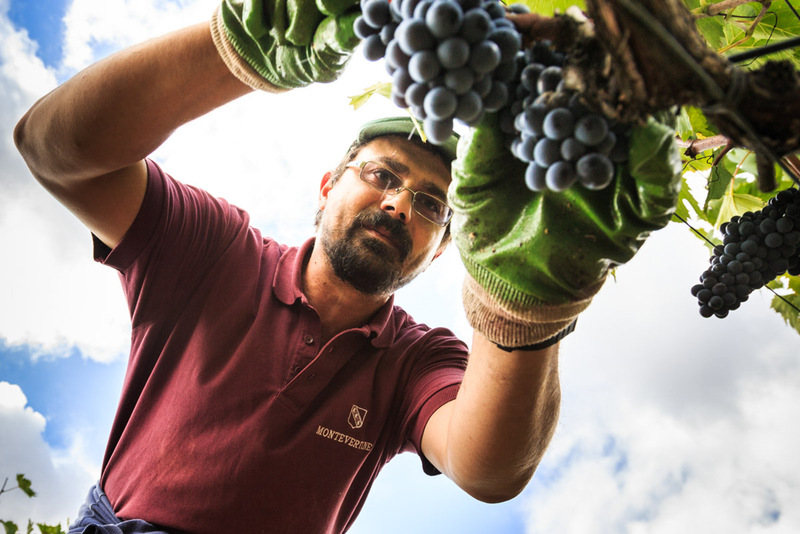 Find out about all the events that Radda in Chianti and the surrounding area offers: festivals, food and wine tasting, meetings; all the up-to-date events, month by month.